Register Log In Vannin' Community and Forums Forums General Discussion Any a100/108 with modernized brakes in NYC/Hartford/RI 02882? 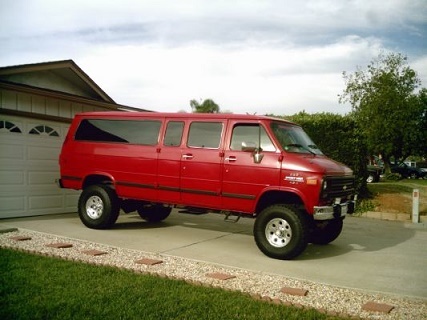 So for the last few years I have been dreaming of owning an A van and turning it into the perfect long distance road tripper. In an ideal world I would purchase one in either Southern CA or Seattle and spend 2 weeks with the wife slowly making our way up/down the PCH while seeing the other side of the country and then ship it back to the East Coast. My concern is trying to do such a trip with manual brakes or even hydrobosted brakes. I am not a big guy and I would expect we are going to hit a lot of traffic in our journey. So do any of you have your vans in the above mentioned areas? I'd gladly pay someone for a ride around the block. I just need to confirm whether this is a possibility or just a fantasy and that really comes down to whether I can make one of these thing stop reasonably quick AND how much of an undertaking it would be. - I am guessing a axl swap (and a lift) would open up options but then you have other steering mods to do? Essentially I see myself flying out somewhere a few days before my wife, buying the vehicle, and then modding for reliability and comfort before starting our once in a lifetime trip....but can it be done and is the finished product fine to mix it up with modern traffic. Also from NYC up i-95 to Rhode Island. The wife has softened after seeing would could be possible on beach/park days in RI. I would pay for a quick joy ride with the owner present. I am a clean cut 5'6 finance professional so you don't have to worry about being murdered. Last edited by nycA108hopeful; July 13th 2018 4:22 pm. Point Judith RI the next 3 days.....$50 (paypal/venmo/cash) for a "spin around the block" and for your time. $100 if you have to travel a decent distance. I can travel a little if that helps. Last edited by nycA108hopeful; July 13th 2018 4:42 pm.